The evidence does not enable me to conclude that .. MSDC gave satisfactory consideration to meeting the unmet development needs (in particular in terms of housing) of nearby local planning authorities. The requirements of paragraphs 178 to 181 of the National Planning Policy Framework have not been met .. I must conclude that the Duty to Cooperate has not been met .. there is also the risk that the Plan could be found to be not sound. There may be consequences in terms of the Council being unable to meet its 5 year housing land supply requirement. Nevertheless this cannot outweigh the need for effective joint working. I must advise the Council to withdraw the Plan .. 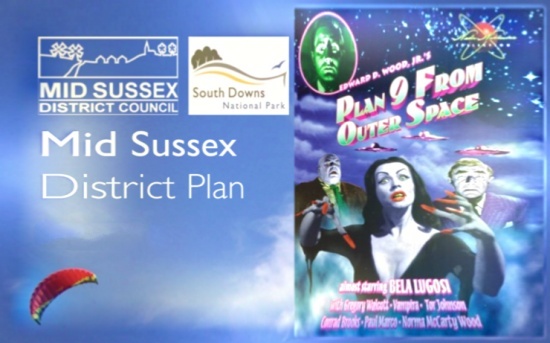 This also means that the Mid Sussex Community Infrastructure Levy: Draft Charging Schedule will have to be withdrawn because there will be no up-to-date relevant Plan for the area. The implications of the Inspector’s finding are in no way restricted to the area to the immediate north of Blackstone. This entry was posted in Home Page, Local Planning, Mayfield, MSDC. Bookmark the permalink.